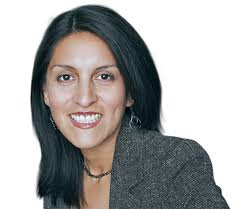 My feeling is that Arizona Daily Star syndicated columnist Esther Cepeda is almost never progressive, helpful or big picture oriented. However, on Friday, December 12 the feast day of La Virgen de Guadalupe, La Reina de las Americas, she laid out the truth about the root cause of immigration (NAFTA, CAFTA and the proposed TPP trade pact). We at Casa Maria feel that NAFTA etc is the most important thing to know about immigration. And it seems like the thing least talked about in the debate on immigration.